One of the most important things you can do to help your kids get a good night’s rest is to establish a sleep routine. No doubt you did this when they were babies, but it’s important to keep it up as they get older (it’s helpful for adults too!). When you do the same things each night before bed, your brain gets the message that it’s time to head off to Dreamland. Get your kids involved in the process, and let them choose—within reason—what they’d like to do before bed. There really should only be three or four things max (including brushing teeth! ), and the whole thing shouldn’t take longer than 30 minutes or so. What’s particularly crucial for success? Turning off the devices an hour before bedtime. The bright light from screens, including the TV, can interfere with the body’s internal clock. It literally tricks the brain into thinking it’s daytime…and not time for sleep. 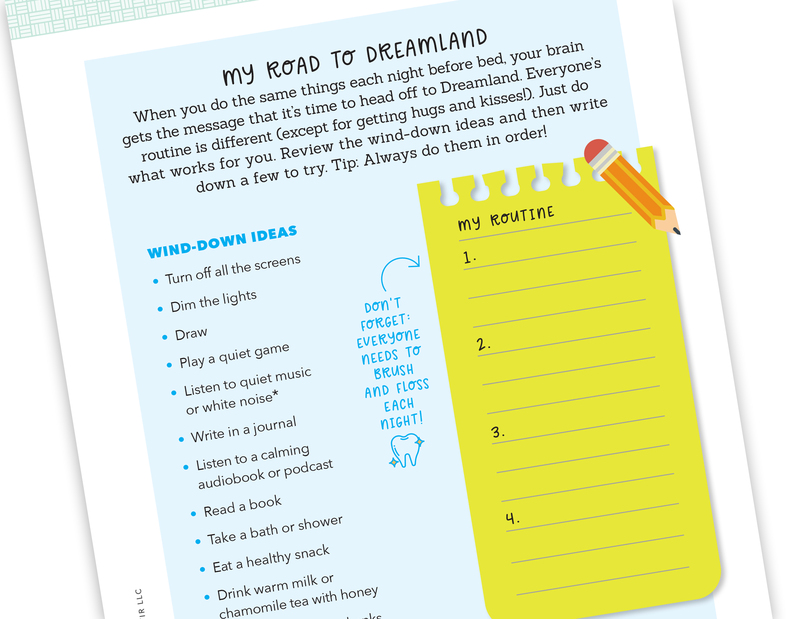 Go over our list of ideas below with your kids (feel free to add your own), then download the My Wind-Down Routine printable using the button above. They can fill it out and post it up next to their bed. Sweet dreams! Previous post: Take the “Shake My Booty” Pledge!